Sora Kimberlain’s sculptures are not only inspired by the human form, but their creation is attached to a very personal history. Each piece of stone is carefully selected from the quarry of its origin and then studied to determine the form inside that’s destined to come out. 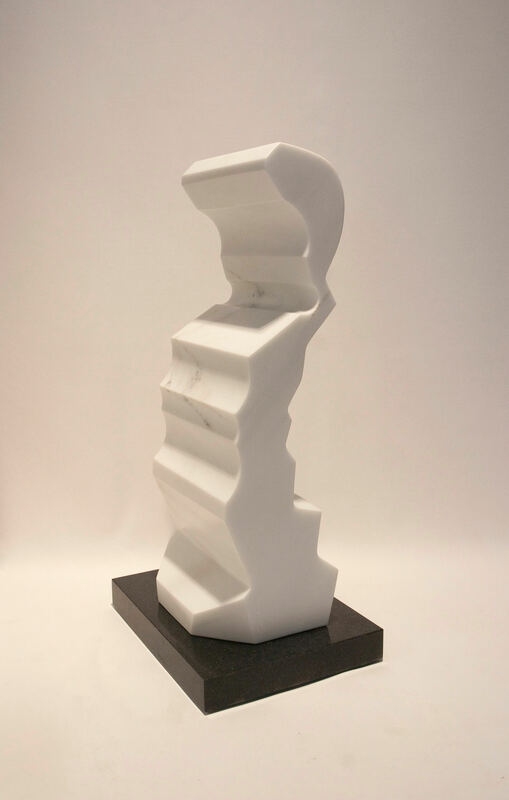 Her newest solo exhibition at Modern Arts Midtown, opening Aug. 5, Eloquence in Stone: Pulling the Energy from the Inside Out, To Reflect the Voice of the Stone, represents the lives she has created from stone over the past five years. The anthropomorphic personality of each piece is described by amorphic lines and shapes; and upon circling the piece, each vantage point delivers a unique form. The abstract quality highlights the peculiarities of the stone and reveals the story of its life. Eloquence in Stone opens to the public with a reception on August 5 from 6-8pm. The exhibition will be on display August 5-26 at Modern Arts Midtown, 36th and Dodge Streets.